Members of the prison ministry team attend Mass at Curran-Fromhold Correctional Facility. Members of Visitation B.V.M. 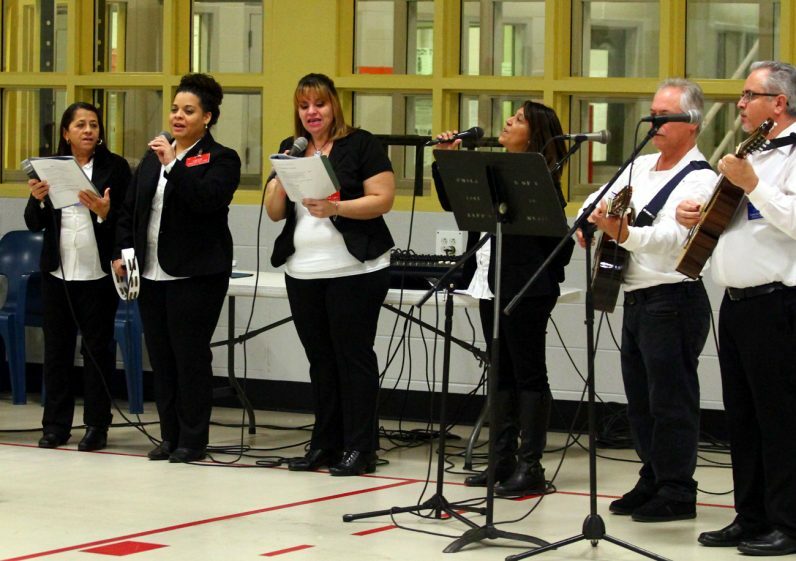 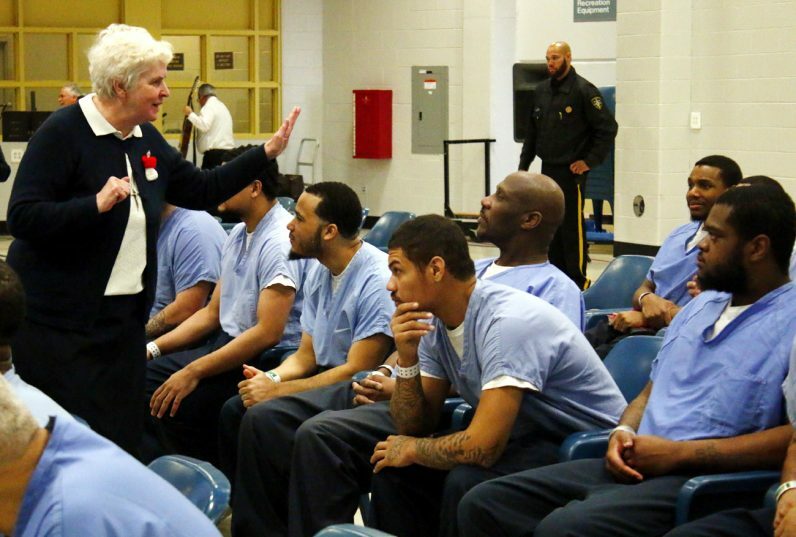 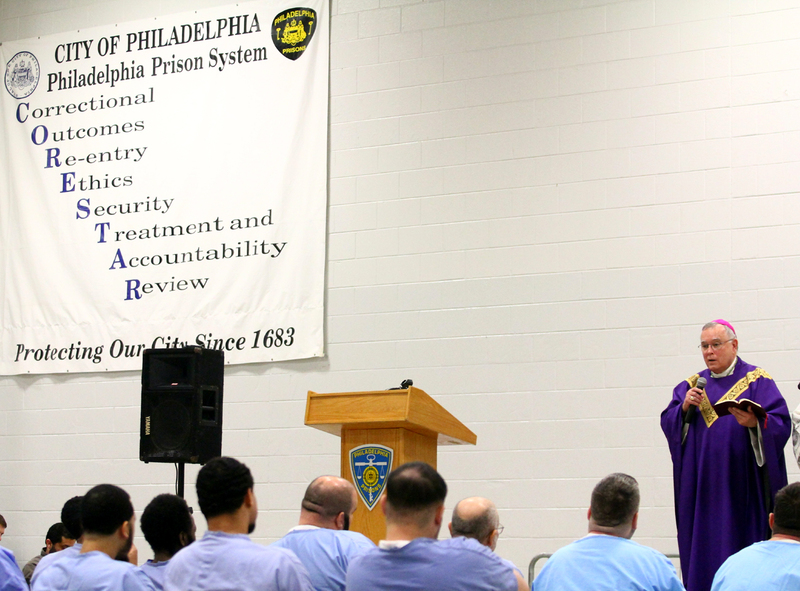 and St. Helena parishes in Philadelphia serve as the choir for Mass at Curran-Fromhold Correctional Facility Dec. 15. 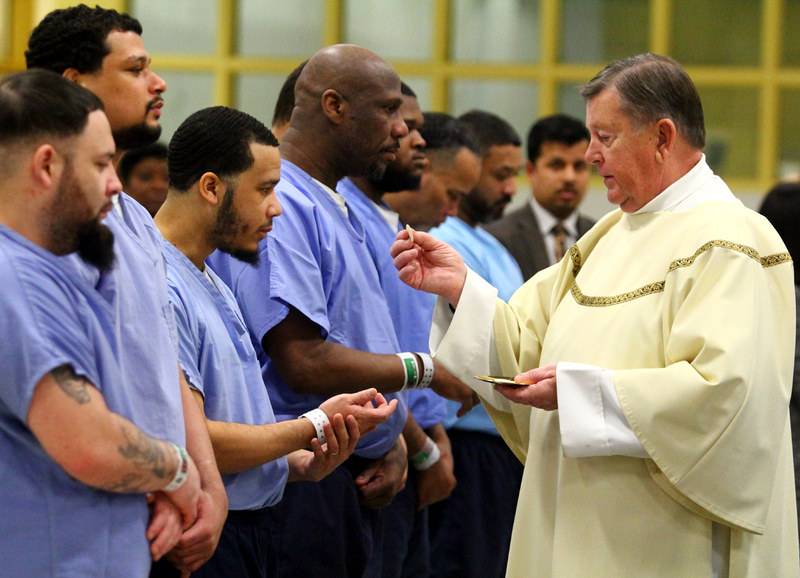 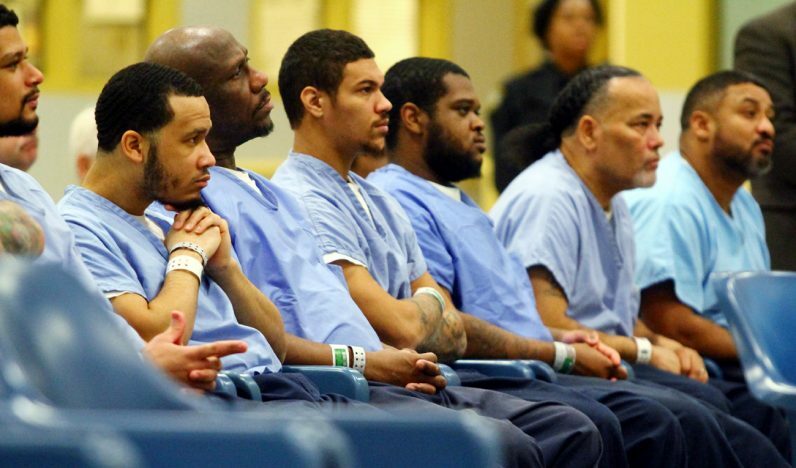 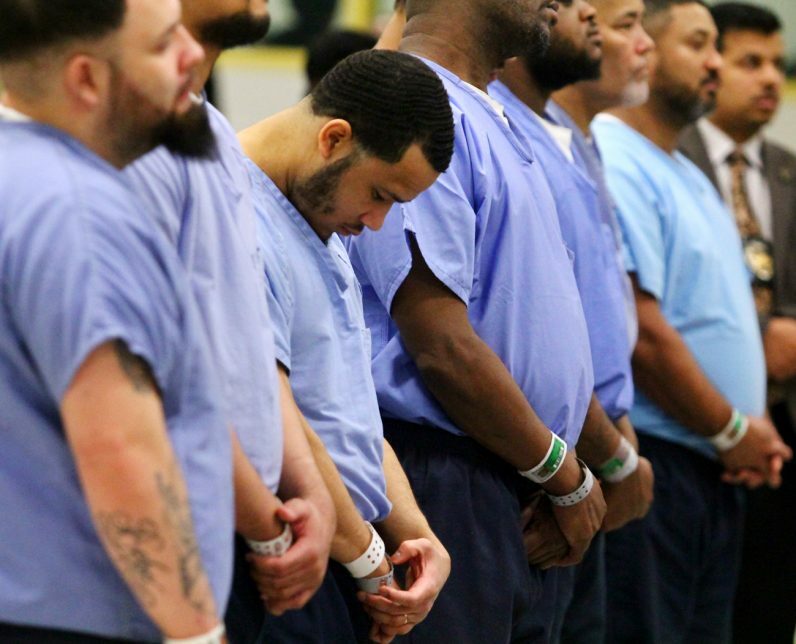 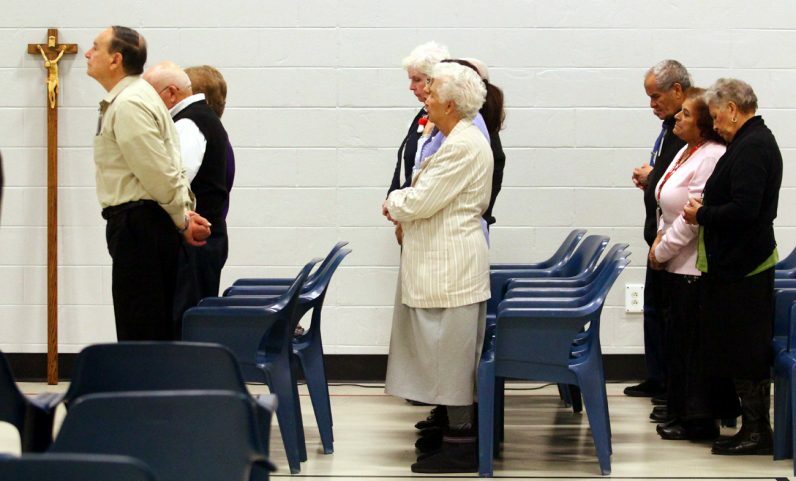 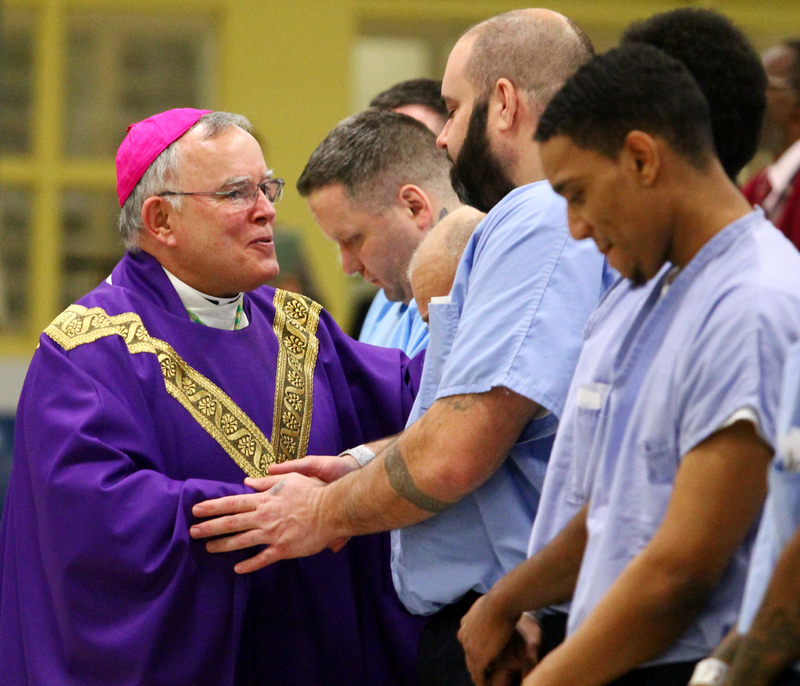 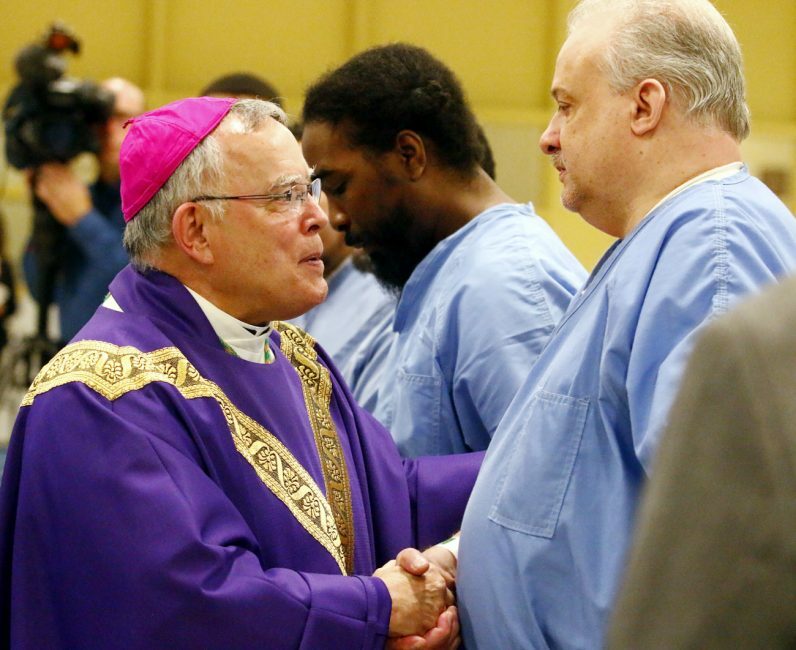 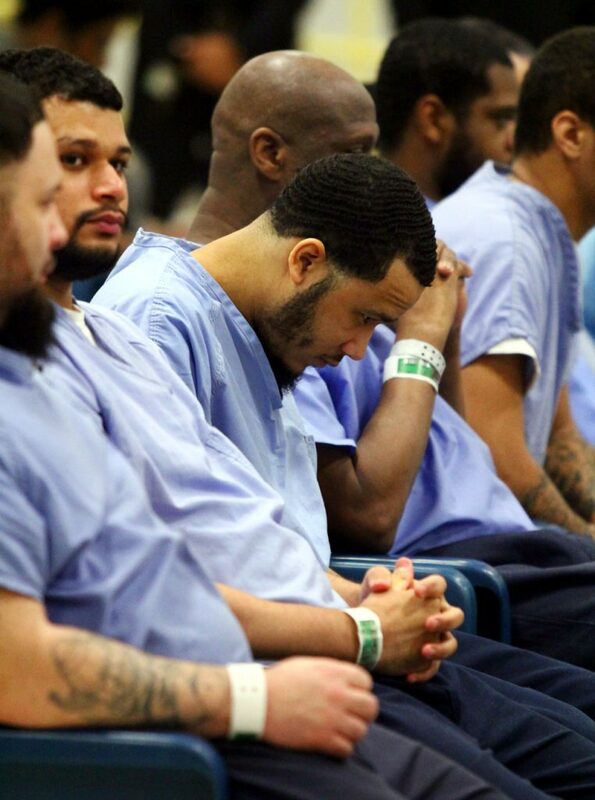 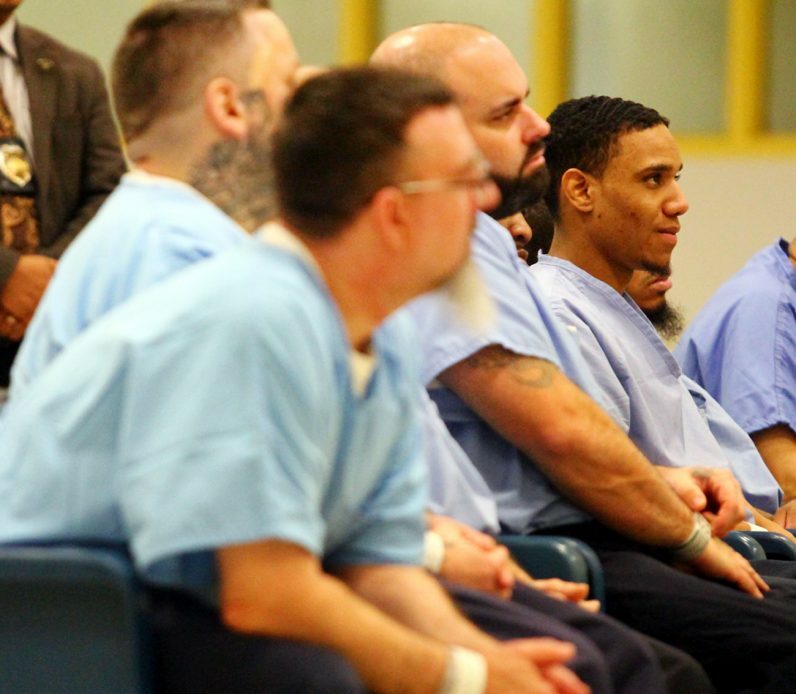 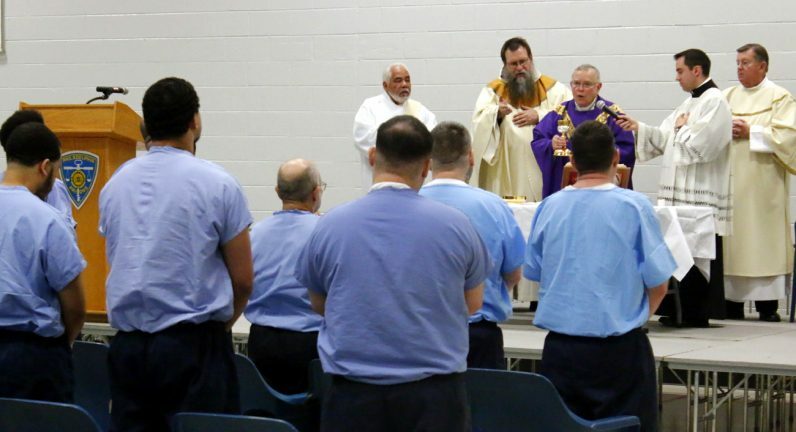 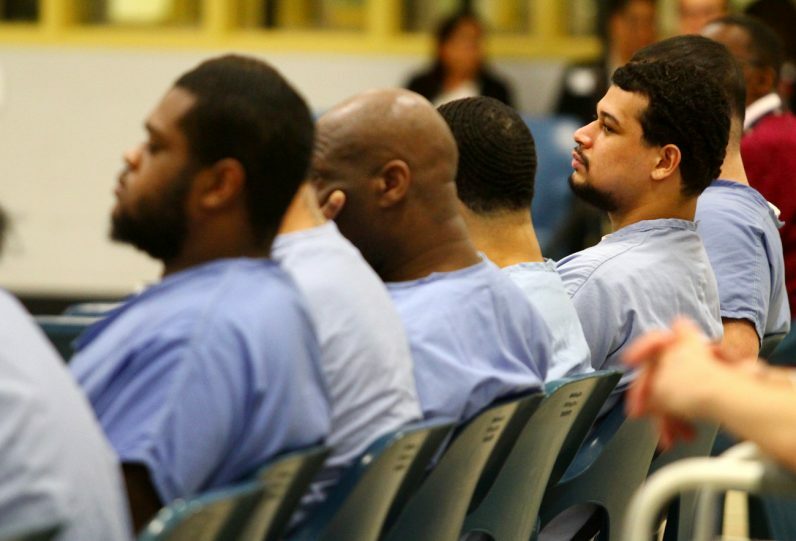 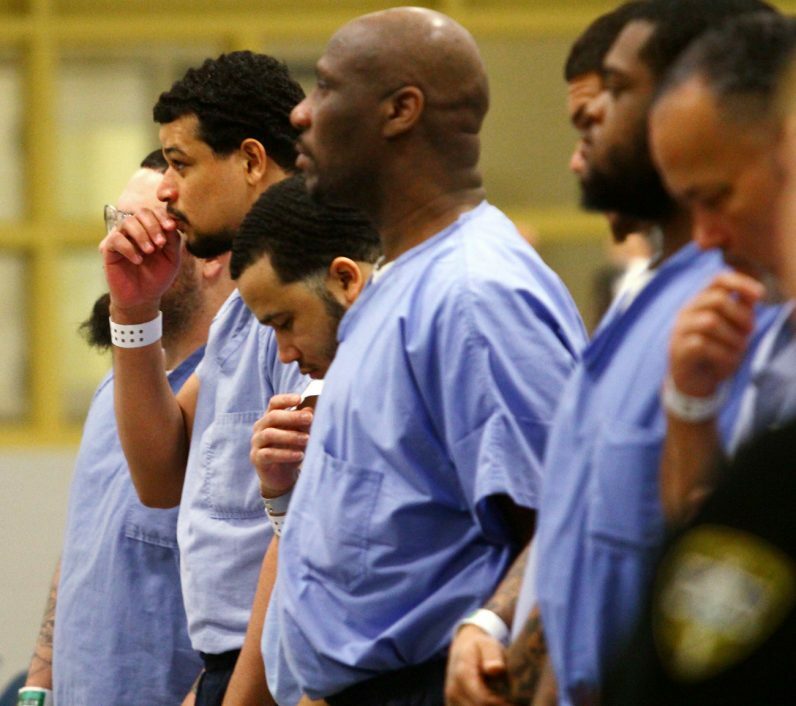 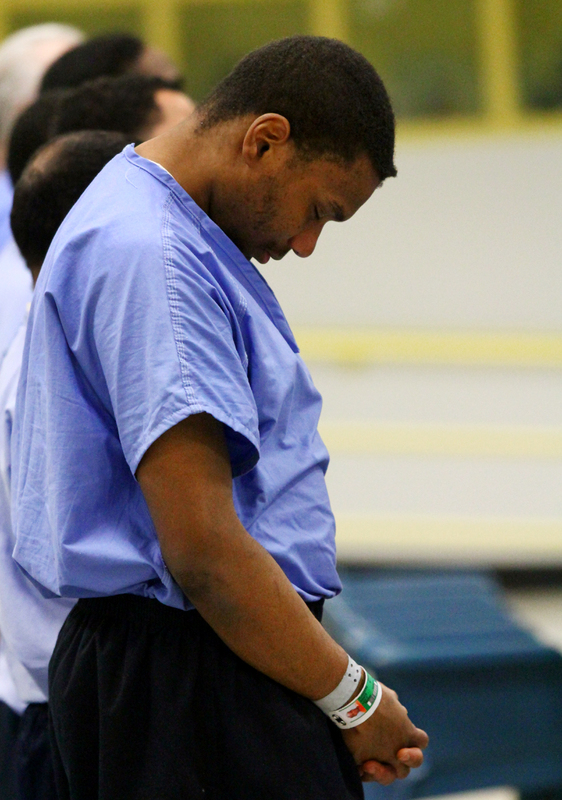 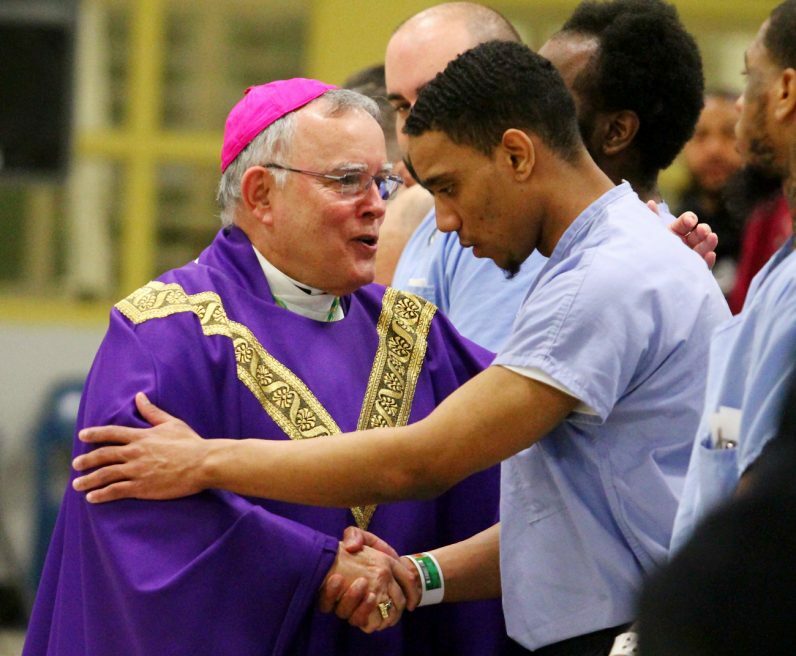 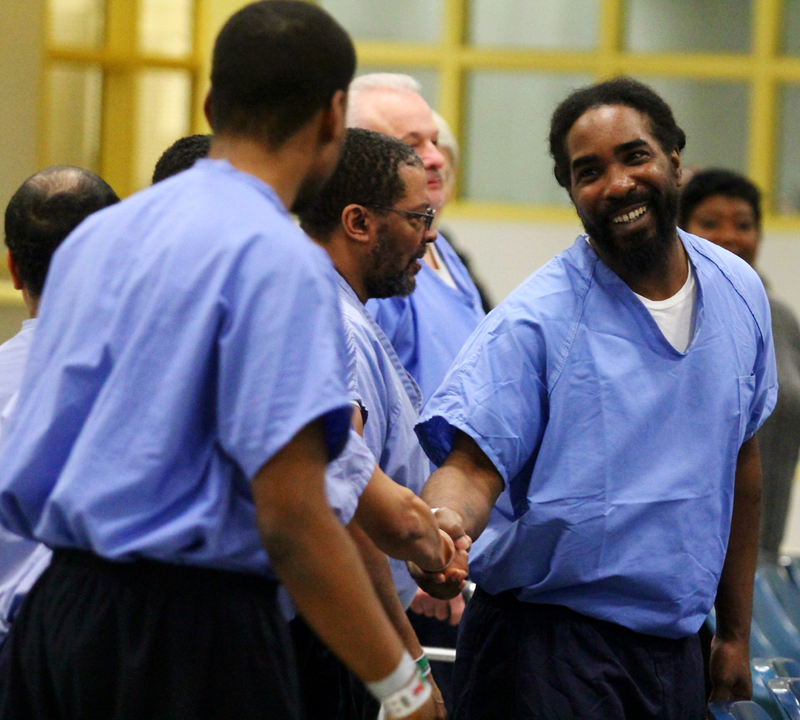 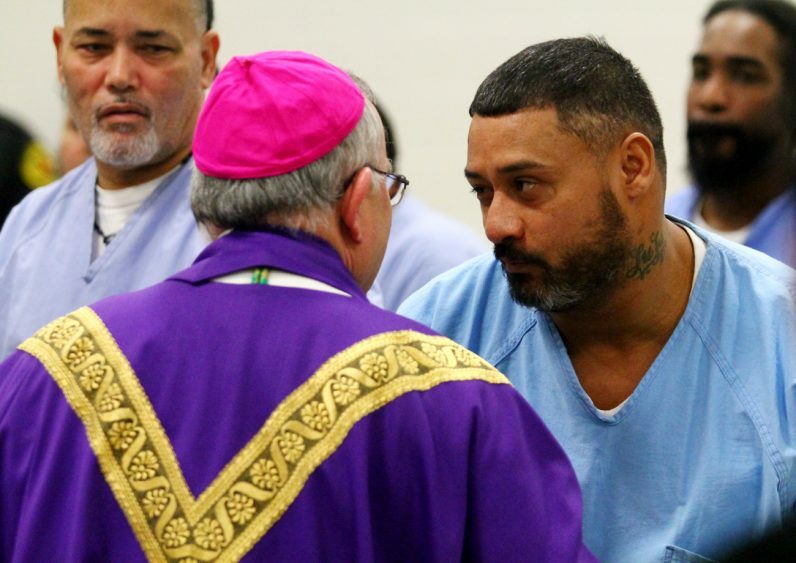 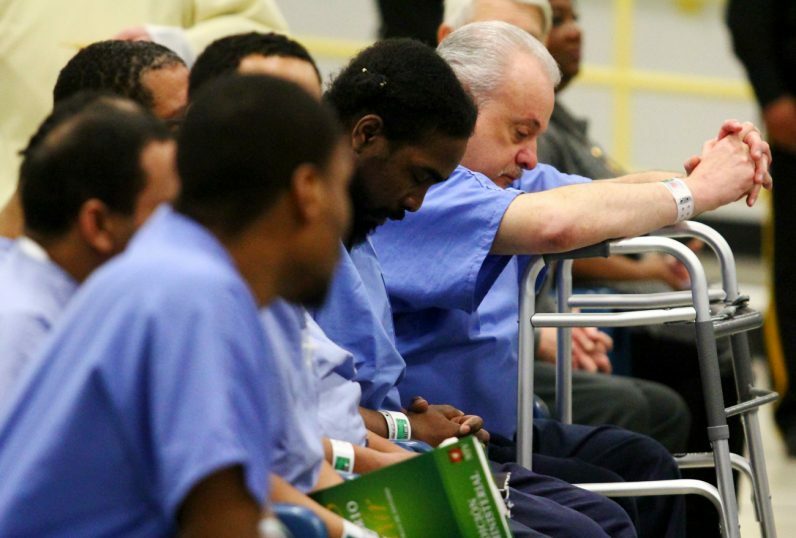 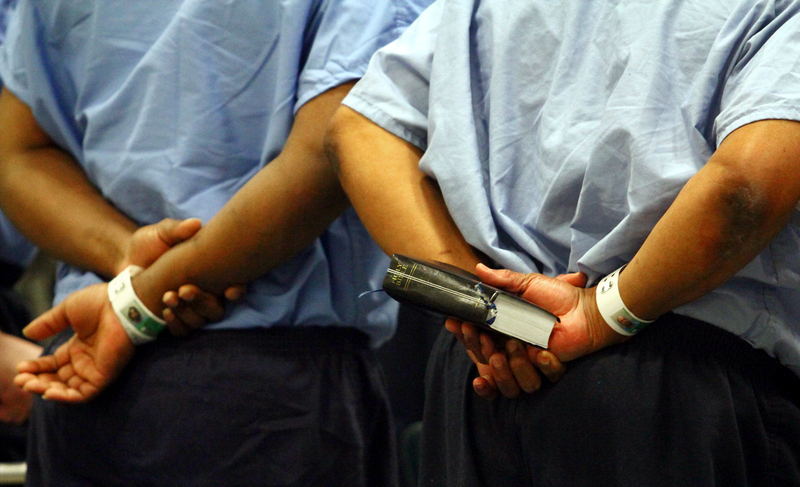 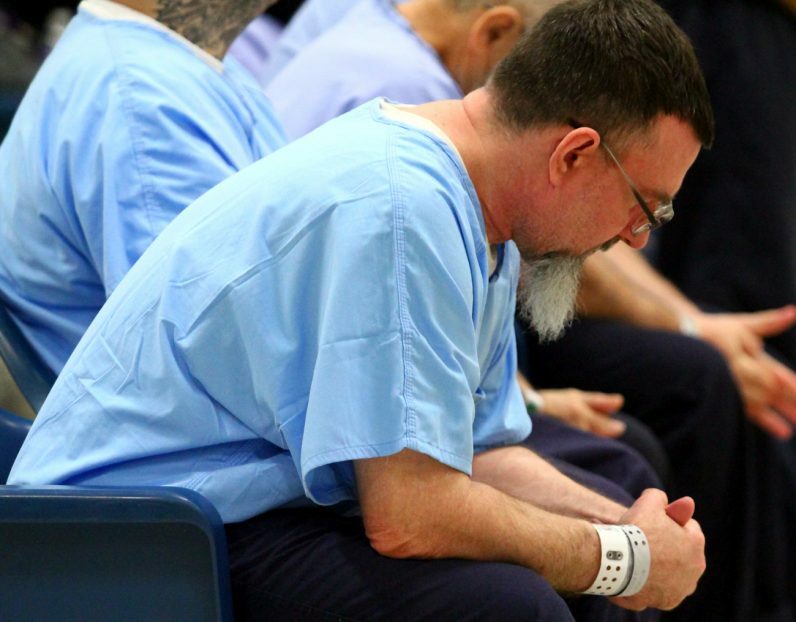 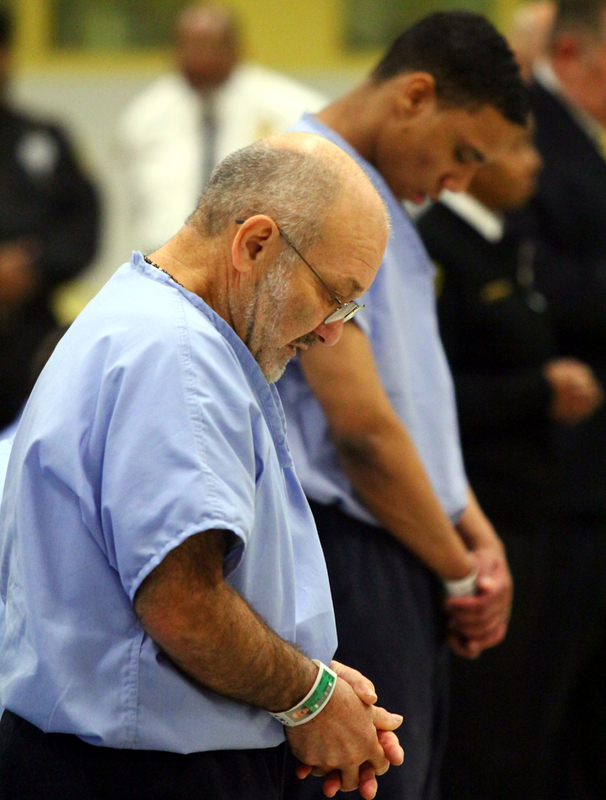 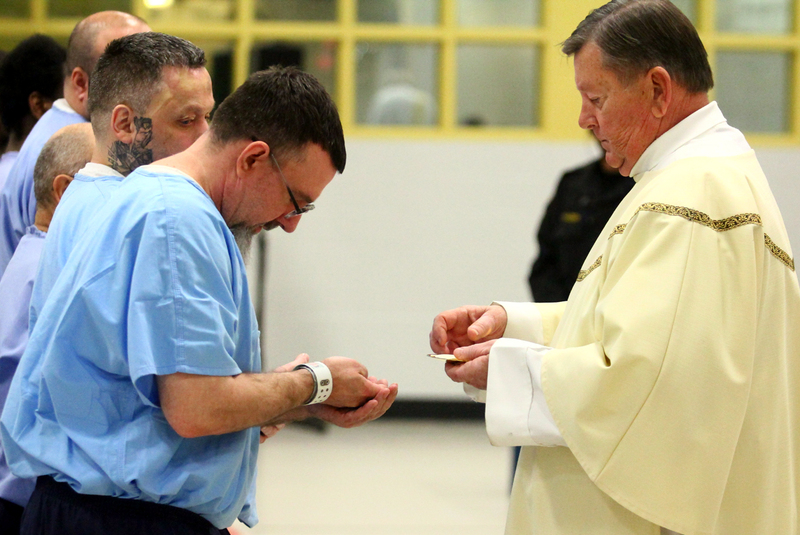 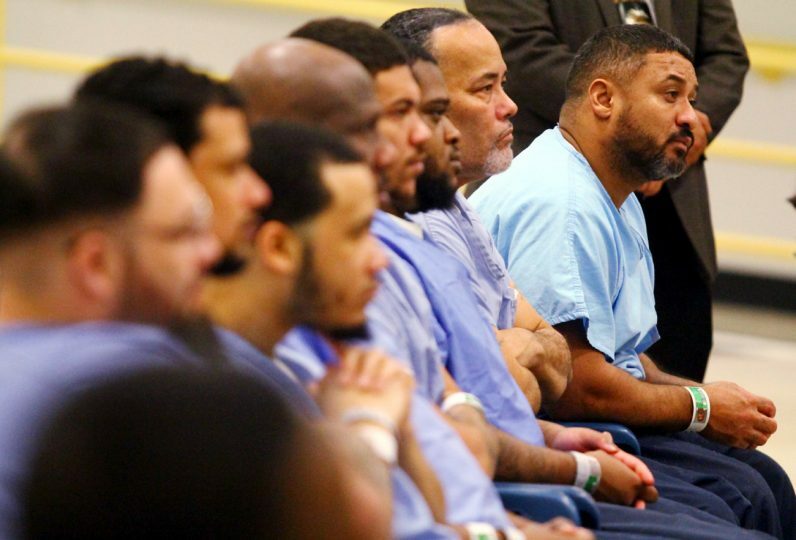 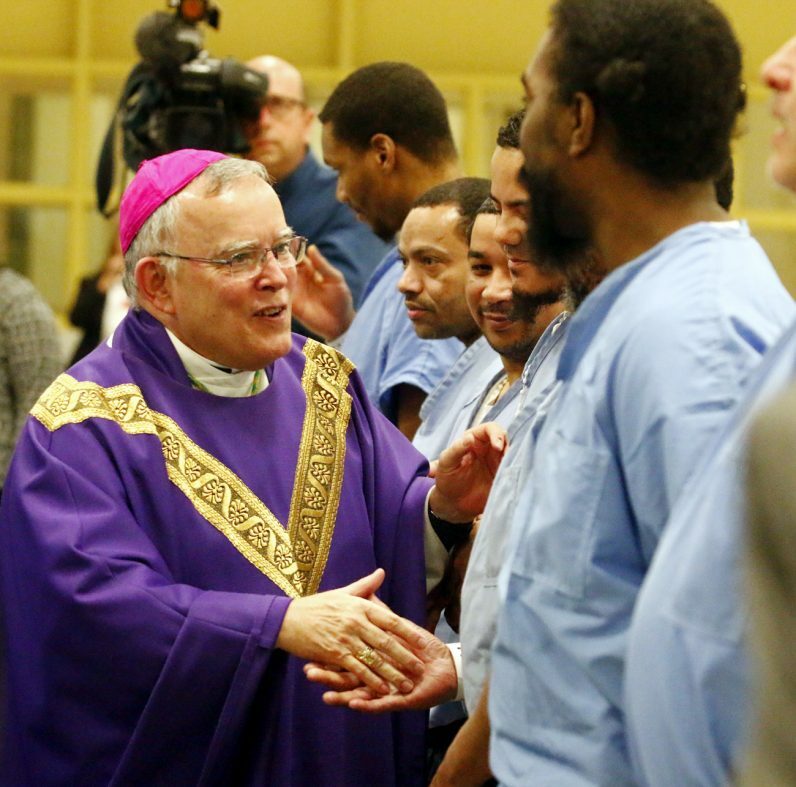 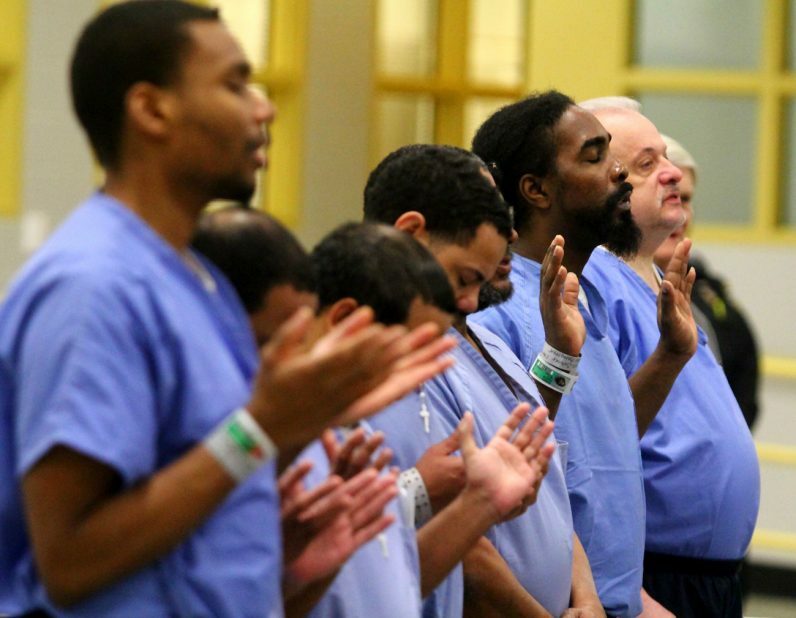 Inmates offer one another a sign of peace during Mass. 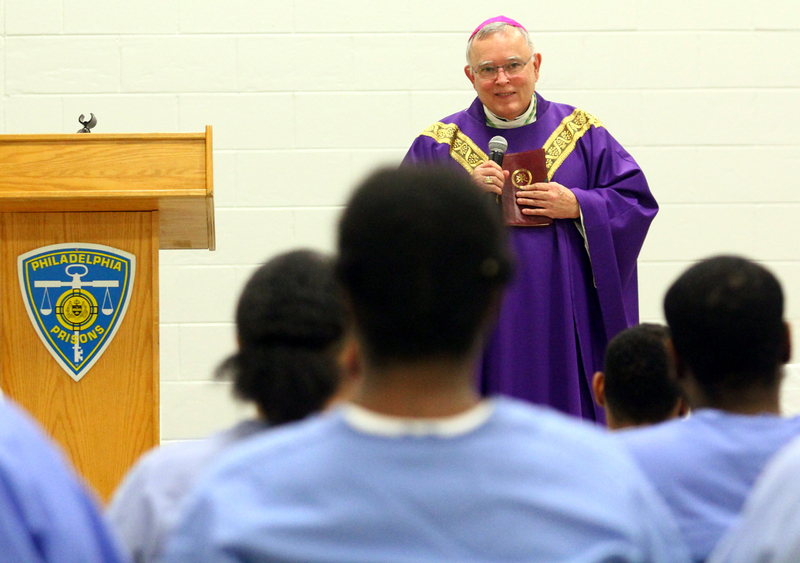 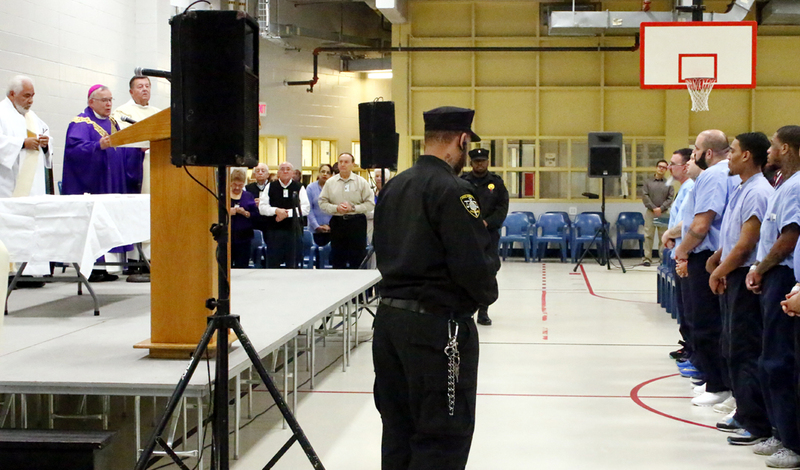 Sister Rose Patrice, who ministers to the Hispanic community and works with the prison’s ministry team, speaks to prisoners attending the Mass celebrated by Archbishop Chaput.